For those of us whom have owned a historic home either in the past or currently know the charm, character and beauty these homes possess. We also know about the idiosyncrasies you learn to deal with when owning such a home. One of the most challenging aspects of an older home for many people are the historic windows. Historic windows are generally all wood or steel. They are generally single pane with, what is called, “wavy glass”, which was due to how the glass was made back in the day. Historic Double Hung windows could have ropes and pulleys or chains to make them raise up and down. Historic casement windows simply push out to open, then pull in to close. Historic windows are truly beautiful to behold, but not always optimal to use. They are also seriously lacking in energy efficiency. This leaves many homeowners questioning whether they should replace their old windows. Here are some considerations as well as do’s and don't’s when thinking about replacing the windows on your historic home. 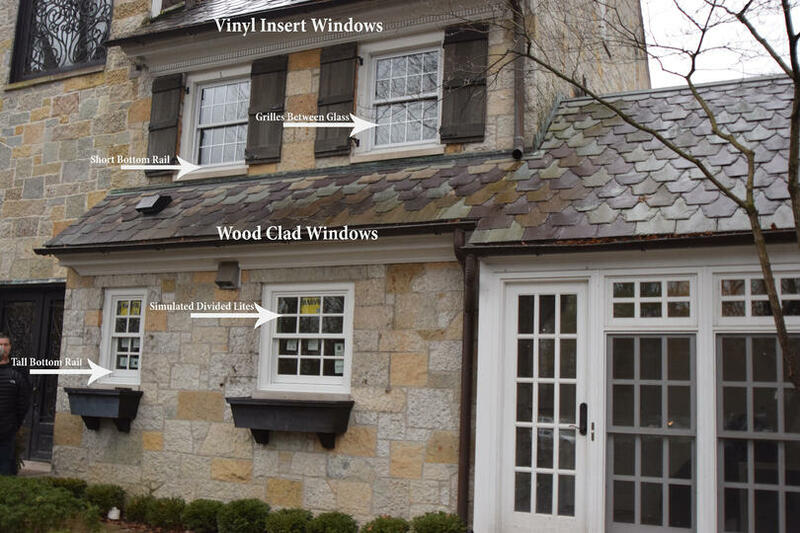 Are you in a historic district with covenants that restrict against window replacement? Are there options available to help with energy efficiency without replacing your windows? Is the window company you are looking to hire “Lead Safe Certified”? Will replacing the windows affect the resale value of your home? These are all questions to consider when looking at replacing windows in an older home. Many historical societies, preservation groups and historic neighborhoods have covenants or restrictions re: window replacement. It is important to research whether your neighborhood has such covenants prior to starting the replacement process. If you do have to replace your historic windows because they are past the point of rescue, many of the covenants state that they have to be replaced in kind, with all-wood, single pane windows. “Historically accurate” storm windows (storm windows that maintain the historical integrity of the home) are a good option for improving energy efficiency while keeping your historic windows. This is an option for neighborhoods that will not allow window replacement. Historically accurate storm windows are available in wood or aluminum and can be a fixed piece of glass or an actually functioning hung window. An important question to ask when looking to hire a window replacement company is whether they are “Lead Safe Certified?” It is against the law to have a company replace windows in a home older than 1978 if they are not Lead Safe Certified. There are steps that have to be taken for testing and containment associated with Lead Paint. This is not a step to take lightly. The question about whether replacing your historic windows would affect your home’s resale value is answered by “it depends.” If there are not any restrictions that control your ability to replace your windows with modern, energy efficient options, then a different question is raised. Now, you have to decide how to preserve the historical integrity of your home so you do not affect the home’s monetary value. This leads us to the Do’s & Dont’s of Replacing Windows in a Historic Home. Maintain the Historical Integrity- Try to use windows that look as close to the originals as possible. bottom rail to mimic the look of the old windows. Simulated Divided Lite Bars (SDL’s) with shadow bars give the appearance of true divided lite bars. This allows you to still have an insulated glass unit for energy efficiency, while maintaining the appearance of a historic window. Most aluminum clad wood window lines have an option for an energy efficient window that maintains the historical integrity of your home by replicating the look of the old windows. Depending on your budget, manufactures such as Marvin Windows even offers glass that they call 1900 restoration glass, to look like your old wavy glass. They also offer OG lugs and even have an option for a chain and pulley window. Make sure you get your wallet out for the chain and pulley option because it is about triple the price of the regular Next Generation Ultimate Double Hung window! Don’t replace your old wood double hung windows with inexpensive vinyl inserts, or likewise. Most of the inexpensive vinyl inserts have short bottom rails and the grids are “grilles between the glass.” Grilles between the glass are an absolute “NO NO” when it comes to historic windows. You lose all historic integrity with this option because the grilles are placed between the insulated glass panes and do not give the appearance of the old true divided lite windows. Deciding whether to replace your historic windows is a decision only you can make (unless of course your local covenants restrict against it!). Make sure you hire a company that has experience with historic homes, because not everyone understands the workings of the old painted ladies! If you are considering window replacement for your home and would like a consultation, or simply have some unanswered questions, give us a call or shoot us an email. Scott, Co-owner of Franklin Window & Door, specializes in historic homes and would love to answer your questions. Scott has Awards for Preservation f rom Angie's list, Indiana Landmarks and Franklin Heritage of Franklin, Indiana. Past projects include: being on the cover of This Old House Magazine for Restoration Projects, and 40 under 40 in Professional Remodeler Magazine. Past owner of 1920's Bungalow and 1876 Italianate.